Minka Kent brings us an interesting and exciting tale told in the first person, alternating chapters, by 34-year-old Nicolette, wife of photographic artist Brant Gideon, and Wren, oldest of three girls being raised in upstate New York off the grid and in very primitive conditions by a single mother. Time is pretty modern, Wren is 20, Sage 18, and Evie is 9. None of the girls can remember even going to town. Their whole world is the homestead they inhabit, the goats and chickens that provide them with eggs, milk, butter and cheese, and the unseen man who meets their mother in the woods with the occasional order of supplies. Until Evie becomes dangerously ill with a soaring temperature and difficulty breathing. Mama bundles her up and heads into the late night woods, looking for help. Sixty-three days later, Mama and Evie have still not returned. Food is running out, the chickens are dying and winter is just weeks away. And with the first light snow comes a strange man looking for their mother. His is big, mean, and dangerous - that man Mama has always warned them about, wandering in from that wicked world she has always protected them from. Wren sprinkles ground up sleeping herbs on his serving of the baby goat he killed and made her cook, and while he is passed out she and Sage take his well-equipped backpack and escape. The only problem is where can they escape too? Neither can ever remember leaving the clearing the cabin is centered in. Luckily the first place they come across is that of Nicolette. And Nicolette, motherless since an emergency hysterectomy when she was 25 and home alone since her husband is off on a photo shoot in South America, has been getting set up to become a foster parent to needy kids. Wren and Sage in their threadbare homemade nightgowns and hunger-induced thinness with no knowledge of electricity or indoor plumbing or kitchen appliances very much qualify as needy. All three of them very much need each other. But where is their mother? And where can Evie be? I received a free electronic copy of this novel from Netgalley, Minka Kent, and Thomas & Mercer. Thank you all for sharing your hard work with me. I have voluntarily read and reviewed this novel. This is my honest opinion of this work. pub date April 9, 2019, are a lot of us Americans who think we know poverty, we understand hunger, appreciate that life is hard and sometimes barren. Dutch Girl: Audrey Hepburn and World War II is a reality check for even those of us with memories of a rough childhood. Most history's and historical novels don't more than touch on the effects of the Second World War on Holland. This biography by Robert Matzen brings to life the world of young wartorn Audrey, that remarkable actress of Sabrina and Breakfast at Tiffany's fame, that gamine face on the big screen that we feel like we know and love. After you finish this book, you will have to watch those old films again and know that you really do love that pretty smile and honor the memory of that girl. I received a free electronic copy of this biography from Netgalley. Robert Matzen, and GoodKnight Books. Thank you all for sharing your hard work with me. I have voluntarily read and reviewed this book. This is my honest opinion of this work. war-is-hell, world-war-ll, The Netherlands, ballerina, UNESCO ***** Who knows more about children's troubles living in a country visited by war than a girl who lived in England and then was summarily moved to the Netherlands not long before it was occupied by the Nazis. Her later accomplishments allowed her to make a difference through UNESCO, but that frightened girl remained inside her forever. 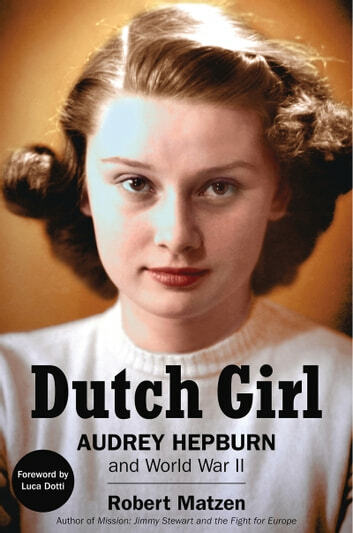 This biographer had some real advantages in being vetted by Audrey's son and also being able to have someone able to access classified documents in the Netherlands. At first the book spends an inordinate amount of time lauding her mother and later details some aspects of the War in Europe in excruciating military detail. However, even if the reader only reads half the book and skims whatever doesn't suit, it is worth the full retail price. I requested and received a free ebook copy from Smith Publicity via NetGalley. Thank you!